According to a report published over on 'Windows insider' Paul Thurrott's site, Microsoft is preparing a new Xbox One iteration for release in Spring 2019. 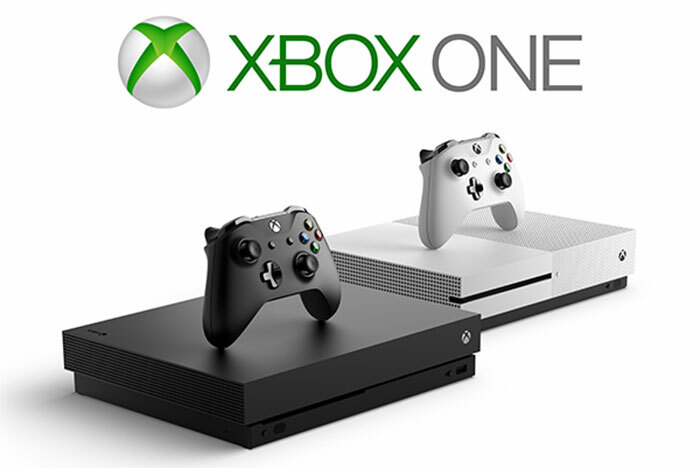 The console won't be a next generation machine but a variation on what is offered with current the Xbox One S. The headline change is that there will be a new Xbox One without a disc drive built-in. It is thought that, thanks to BOM cuts and savings, Microsoft will be able to sell the new entry level Xbox One for under US$200. Removing the physical disc drive will make it possible to sell cheaper Xbox One consoles but what of any drawbacks? Some people won't miss the disc drive as buying and renting films, for example, can be easily accomplished on digital stores. Similarly you can buy all your Xbox games digitally. If you already have a collection of disc based games for Xbox One, Microsoft will introduce its 'disc-to-digital' program that, as the name indicates, turns your physical games into digital downloads. To do this you will have to take your physical game copies into an authorised store somewhere. Lastly, Thurrott says that there will be one further new Xbox One S SKU that will include a disc drive. Again, this will feature cost savings from the build but the firm hasn't gone so far as to pare down this physical media reading feature that is still attractive to some. Looking forward to the next gen Xbox, codenamed 'Scarlett', Microsoft is still said to be deciding whether it will come with a disc drive. It was interesting to hear that Sony hasn't got plans for an E3 2019 presence. The same Redditor that let that cat out of the bag before it became official news, Ruthenic Cookie, has followed through and added some info on the PlayStation 5's hardware. In brief, Sony will give us a short/teasing reveal of the PS5 in mid 2019, followed up by a much bigger showcase at PSX 2019. Ruthenic says that the PS5 dev kit is "a monster" with an octa-core AMD Ryzen processor and built-in camera for VR tracking duties (working with PSVR2), and more. Initial price should be around US$500. Oh, so an *optical* drive-less machine. Was wondering for a minute how you could make a modern console without a hard drive in it, other than putting a large SSD in there. So in other words, their disc-less Xbox One is fulfilling their original vision of basically having no second-hand sales, which they had to backtrack on. To be fair, it did say disc not disk. I always associate the former with optical media anyway, so I read it as expected. We recently bought an Xbox One S purely for the 4K Blu Ray disc drive, with it being the cheapest 4K Blu Ray player we could find (£130 on Gumtree in immaculate condition). Does this mean that the next generation of consoles are likely to no longer be the “all in one media centres” that they currently are? 4K streaming on Netflix has a loooooong way to go before it's as good as a 4K HDR Blu Ray. everyone knows you gonna have to do that day 1, 20GB update. So internet isn't a problem.